Today, global IT security vendor ESET has been awarded top marks by AV-Comparatives. ESET Endpoint Security has been named the lightest endpoint security solution on the market by the world’s leading security software testers AV-Comparatives. Following a series of performance tests on a number of endpoint security solutions, ESET Endpoint Security was commended for its low system impact. Using one of the largest sample collections in the world, AV-Comparatives provides the most accurate test by creating a real-world environment and replicating the scenarios faced by everyday users. ESET Endpoint Security provides businesses comprehensive IT security via multiple layers of protection including trademark NOD32® detection technology combined with machine learning. It protects networks from malware and phishing attacks and stops harmful malware from breaching your system. It provides complete data access protection and fully adjustable scanning, including cloud-powered scanning. “ESET’s business solution made an impressive run in another of our Business performance tests, reaching the lowest impact score of all tested solutions,” commented Andreas Clementi, CEO at AV-Comparatives. AV-Comparatives rated ESET’s product at an industry high, with a total score of 98.3 in the industry recognized PC Mark tests. The software was praised as ‘very fast’ for browsing websites, launching applications, installing and uninstalling applications, downloading files, as well as archiving and unarchiving files. 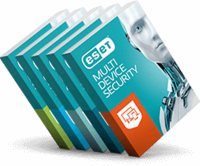 You can read more about ESET Endpoint Security and request a free trial here. Read the whole report by AV-Comparatives here.